Our mission it to provide individuals, families and groups with knowledge once common to the people that braved our American Frontier. By using primitive, past century and modern day techniques, we strive to provide students with basic and advanced skills to not just survive but to thrive in an outdoor environment. Offering a wide range of courses that will enhance your family camping experience to challenging your most confident outdoor skills. We are dedicated to teaching every man, woman and child so they can develop that superior confidence of being safe in the wilderness. Helping you invest in self-preservation and the ultimate quest for wilderness self-improvement. Marc is a New Hampshire native and an experienced outdoorsman with many years hunting, fishing, skiing, canoeing, archery, shooting and minimalistic camping. His skillful mastery of bushcraft and wilderness survival knowledge helps define his character. 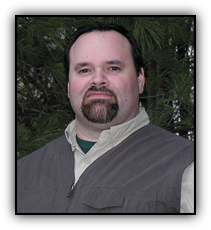 Marc is also a published writer and continues to write articles for Self Reliance Illustrated magazine. He enjoys handcrafting his own long bows, flint knapped primitive arrows and making custom leather products.